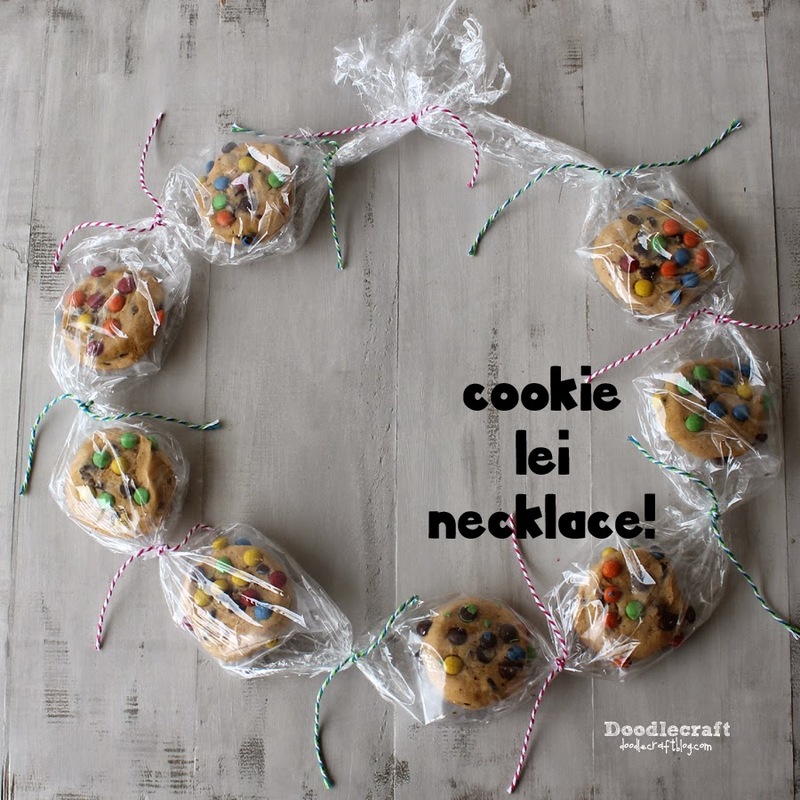 Make a Cookie Lei Necklace! This is a fun gift for a birthday, graduation or back to school surprise! Give Bakery Because. It's Gifting Made Delicious! I made this for an adorable girl that was turning 8! So I used 8 yummy cookies! Just visit the bakery section of your grocery store! all would work for this cute necklace! Start by putting one treat in a zip top bag. You could just wrap tightly with cling wrap too. so just the cookie shows...but also keeps them fresh! Again, you could wrap with plastic wrap too! Now you'll need some cling wrap, twine and the treats. Roll out a big line of plastic wrap. About 3 feet. Place a wrapped treat with the "cute" side facing down. And tie off the plastic wrap between each treat! It would be adorable with some cinnamon swirls and some muffins too! Here's more great cookie gifting ideas! Our Primary President makes these for newly baptized kids. They're a hit. They usually have fruit snacks, candy, and cookies. My son makes my life better everyday! He gives me a whole new perspective on life and makes my heart overflow! My husband makes everything better everyday for me! My co-workers Emily & Erica make me soooo HAPPY!!!! I LOVE working with them. They are each such an inspiration as they work with troubled youth & families in crisis. Plus, I enjoy seeing how much they truly love their own children! Besides their beautiful smiles, they each brighten my day, as well as everyone around them, by helping others to feel good about themselves!! I am truly blessed to be able to call them my friends, as well as NY co-workers. My niece makes me so happy! She is adorable and thinks that I hang the moon. It makes me want to be a better person, just for her.